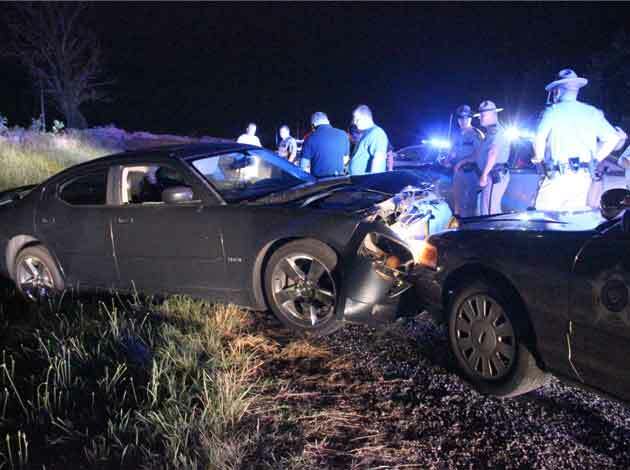 UPDATE: Chadwick Hagan, 36, of Campbellsville, was operating a 2007 Dodge Charger westbound on U.S. 68 in Taylor County at a high rate of speed when he collided into the rear of a 2005 Honda Accord operated by Phillip Benningfield. Benningfield’s vehicle was disabled, and Hagan left the scene headed toward Campbellsville. Campbellsville Richie French and Taylor County Deputy Sheriff Stephen Dobson located the vehicle traveling west on Broadway. The vehicle was observed crossing the double yellow line multiple times and refused to stop. Hagan led officers on a pursuit into Adair County. The vehicle was stopped on Edmonton Road after striking an Adair County sheriff’s unit. Hagan was arrested and charged with leaving the scene of an accident/failure to render assistance; operating a motor vehicle under the influence of alcohol/drugs, first offense; wanton endangerment, 1st degree, police officer, three counts; reckless driving; and fleeing or evading police, 1st degree, motor vehicle. He was also charged with numerous traffic violations and faces more charges in Adair County following a Kentucky State Police investigation. A hit-and-run in Taylor County followed by a police pursuit ended in Adair County Saturday night with the suspect ramming his vehicle into a deputy sheriff’s cruiser. 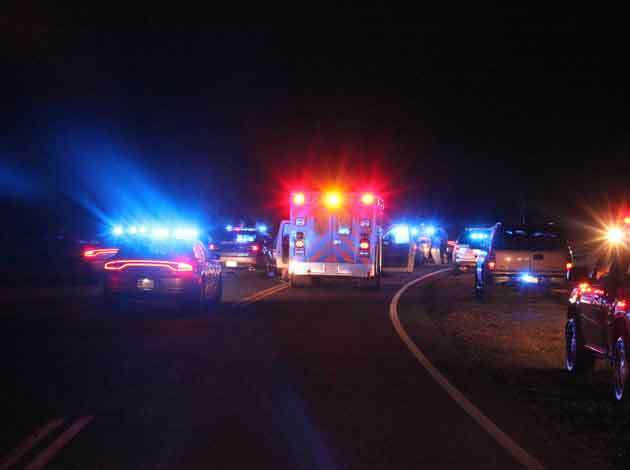 The accident occurred around 8:40 p.m. central time in Taylor County and the pursuit ended in Adair County at 9:21 p.m. around 8.5 miles out Edmonton Road near the intersection of Weed-Sparksville Road. The driver led Taylor County units, Kentucky State Police, Columbia City Police and the sheriff’s office as he fled at some points over 100 mph, speeding from Campbellsville to the Columbia bypass, heading south on Burkesville Road then turning back and then traveling Edmonton Road. He made a u-turn but law enforcement blocked the roadway and he tried to back up, hitting a ditch. He tried to drive out of the ditch by ramming into a police car driven by Deputy Josh Durbin in an attempt to escape. Officers on the scene said the driver was still trying to pull away when they removed him from his vehicle. Durbin received minor cuts to his hand. The suspect was treated on the scene by Adair EMS then taken to the Taylor County jail . More information will be released later.